Get ready for a tsunami of anti-American and anti-President Trump movies from Hollywood in the coming months and years. It’s the industry’s number one goal to perpetuate a globalist message to Americans. But people are tired of that Hollywood message and that’s why this anti-American movie just bombed at the box office. First Man opened in theaters last Friday. It’s the story of Neil Armstrong’s 1969 Apollo 11 mission alongside Michael Collins and Edwin “Buzz” Aldrin. It stars Ryan Gosling as Armstrong. Damien Chazelle directs, who is known for La La Land and Whiplash. 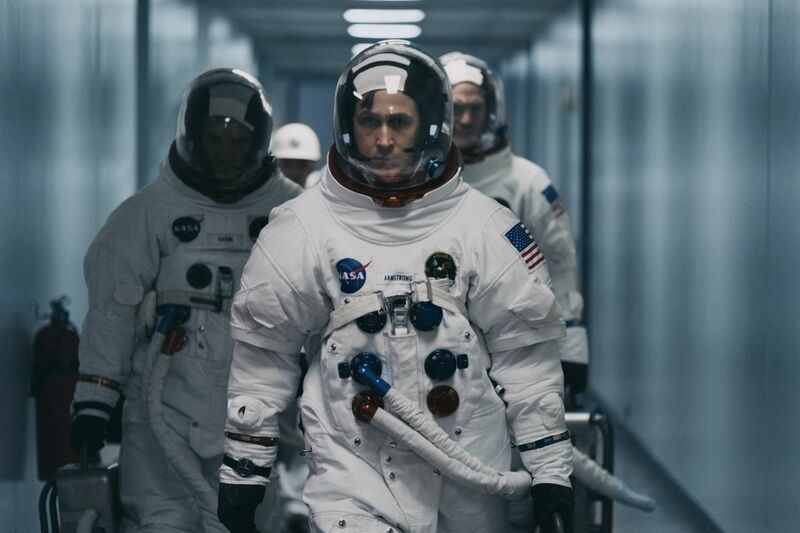 The reason why it has been hailed as an anti-American movie is because the filmmakers neglected to show the American Flag planted by the esteemed astronauts. That stigma hit America hard and that’s probably why Americans refused to see the movie because it flopped with a measly $16.2 million opening. It was way below expectations, which were in the $22 million range. The movie cost a staggering $125 million to produce too. This should’ve been an important movie to Americans considering the subject matter. Landing on the moon is one of America’s greatest feats. It’s not just one of mankind’s all-time achievements. Americans were responsible and deserve the credit for it. It was also a huge blow to the Soviets at the time. During the Cold War, America and the Soviet Union had a two-way race to the moon. The Soviets dominated the race during the late 50’s and early 60’s but that’s when America’s elite scientists and mathematicians showed the world who was boss. Seven years later and six years after his tragic assassination, America accomplished Kennedy’s vision. But First Man’s director is French and the star, Gosling, who plays Armstrong, is a Canadian. Many were up in arms that they didn’t show the planting of the American Flag. The filmmakers, Gosling and Chazelle, both said that it was more a “human achievement” than it was an American one. Do Americans take credit for the Egyptian pyramids or the Eiffel Tower? Chazelle thought the anti-American accusation was ridiculous too. It’s amazing that America isn’t credited for the most gigantic shifts in the status quos in world history. Americans created electricity, phones, cell phones, automobiles, flight (airplanes), and the Internet. And that’s just to name the major ones. The rest of the world should be grateful. It’s almost as if everyone is jealous because if you go oversees there is certainly an eye-rolling sort of vibe that Americans get everywhere they go. Do you think First Man deserved to bomb?